Instagram is one of those beautifully simple concept that has millions of amateur and professional photographers alike completely hooked. You take a photo, edit, and share. And that, as they say, is that. Then again, whilst the format is uncomplicated and ease-of-use abundant, many other such image social networks have tried and failed; which throws up yet another opportunity to snigger at Google’s Photovine, which disappeared even quicker than it sprouted. Waiting for an official Instagram app has been a trying task for Android users, prompting many a developer to create third-party apps which – as yet – haven’t really taken off. Since there is no web-based service for Instagram, Android users have grown somewhat frustrated with the lack of support, having been promised for some months of a Market release. Rumors have really been picking up in the last month or two, and now an image of a Samsung Galaxy Tab 10.1 appears to reveal the app so sought after by Droidsters is now within touching distance. 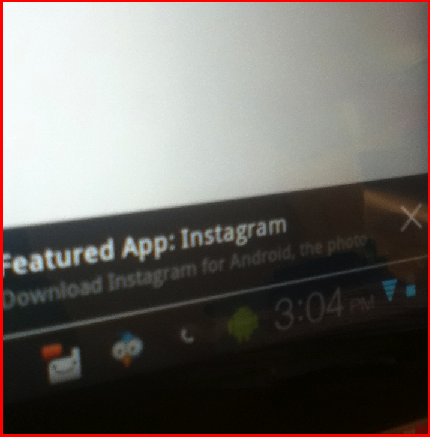 The snapshot comes courtesy of InFlexWeTrust, and it shows a screenshot of a notification pointing to the Instagram application as a ‘Featured App.’ The puzzling thing is, it’s nowhere to be seen on the Android Market, nor has there been an official announcement from the app’s development firm Burbn Inc. Then again, it could just be that Samsung is in possession of some information not yet disclosed to mere mortals, and plans to showcase the Instagram app in the future. If it winds up being half as popular as the iPhone, iPad and iPod touch iteration, then Burbn will undoubtedly be pleased. 15 million people currently use Instagram on iOS, and with several hundred thousand claimed daily activations of Android devices, that number could easily – and may well – double once this elusive Android version is released. Windows Phone 7 has also been tipped for some official Instagram loving sometime soon, with suggestions last month that it could be released before even the Android version. With Nokia’s Lumia 800 being so well-received, Microsoft has been working tirelessly in fine-tuning its own fleet of smartphones, adding even more momentum to last year’s winner of mobile operating system of the year. 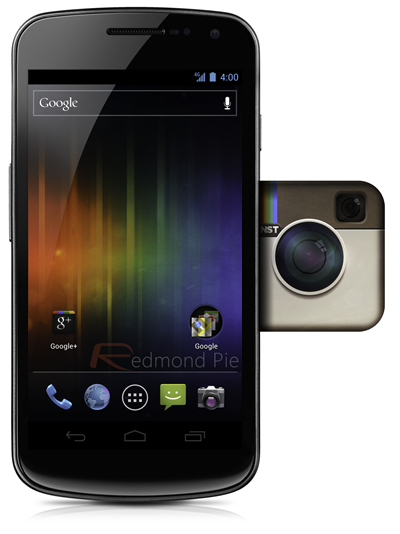 Android users, are you looking forward to a proper Instagram app on your device? Leave your thoughts via the usual mediums below!